Artist-in-Residence ... Mt Coot-tha Botanic Gardens: A PLEA FOR WORLD-WIDE PARTICIPATION! A PLEA FOR WORLD-WIDE PARTICIPATION! I need your help to promote my two “International Projects” to all your friends and contacts. During my year of residency I am working collaboratively with as many people as possible, so please spread the word for me as widely as you can. All entries in both projects will be displayed in my end-of-year exhibition in the Richard Randall Studio at Mt Coot-tha (6 -14 November) and also featured in this blog. Before the end of September, I'd like you to decorate and post an envelope. A MESSAGE FOR NON-AUSTRALIAN PARTICIPANTS – please don’t include real plant material on (or in) your envelope because Australian Customs will confiscate and destroy it, and I’d hate to miss out on receiving it! These are some of the envelopes I‘ve received so far …. just to show you some possibilities …. please do your own thing in whatever way you like! The envelope can be any size, but no larger than A4 (21 x 30cm). Choose a size that best suits your country’s postal requirements. Decorate both the front and back of the envelope in whatever way you like, but it must be able to be sent through the postal system. Please relate your decoration to my theme … it’s “The Language of Nature” so you can just include a ‘naturey’ word somewhere, otherwise feel free to take the theme to any lengths your imagination dictates! Don’t include anything inside (except maybe a piece of card to stop the envelope getting bent in the post). I will be leaving the envelopes sealed, and binding them with rings on the left-hand side. I want to include people of all ages …. This could be a literacy/art/recycling project for Schools as a whole-class project or just contributions from individual students. Please contact me for specific ‘teacher-friendly’ information! It’s wonderful to see the community getting involved already. The Karana Downs Girl Guides have joined the project by decorating envelopes as part of their Nature badges. You can read more about this on their blog post on 17 July. Click here. Before the end of September, I'd like you to email me a 'close-up plant' photograph. These photographs will incorporated into a book (or books), which will include hand-lettered poetic phrases. These images are just examples to give you an idea of the sort of photos I’m hoping to get. 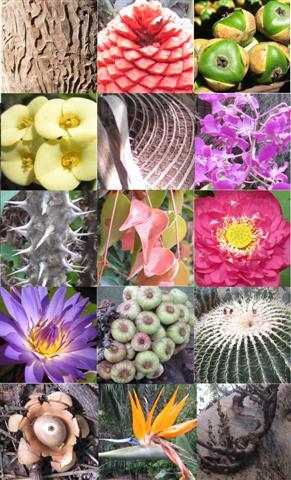 These are plants from all over the world that I photographed in the Brisbane Botanic Gardens. * Keep the image quality high, but make the file size is less than 1 megabyte (so I don’t overstretch my computer download limit). I want people from all over the world to help me celebrate my year as Artist-in-Residence at Brisbane Botanic Gardens at Mt Coot-tha (in Brisbane, Queensland, Australia). If you’ve got any questions or suggestions, or you’d like me to send you a pdf file about either of these projects, please contact me. Awesome! Its actually awesome article, I have got much clear idea on the topic of from this paragraph.